It definitely is a high moment for the X-Men, and like any pro-mutant supporter out there, I hope this wouldn’t be a swan song. As far as expanding the comic books is concerned, Marvel’s got us covered. Legion gets his own television series. Hugh Jackman is about to end his X-Career as Logan. And in a blast in the past, Jean is “revealed” as the Phoenix at the end of X-Men: Apocalypse. Meanwhile, on the other side of things, Ghost Rider arrives in Agents of SHIELD. The Inhumans were more active than before, and save for Wanda Maximoff, the MCU doesn’t have the slightest tinge of an X-Man in it – if she even was one (long story). And all the while apparently the Terringen Mist is lethal to mutants. Somehow Cyclops and his team is out to make sure more mutants are spared from this inconvenient plot maneuver. And in other news, Iceman, Weapon X (Logan? ), Cable and Jean Grey get a brand new comic. Of course, a big “surprise” for the X-Men has already been in the works and is being consistently teased since last year. The events of Secret Wars and the absence of an X-Men presence leaves quite a gap to be filled. Marvel wants the entire Death of X-Inhumans vs. X-Men-ResurrXion trilogy of sorts to answer all the questions we have. And while it is as enigmatic and foreboding (and ominous) as it sounds, the ResurrXion line that will follow seems to be a ray of hope. 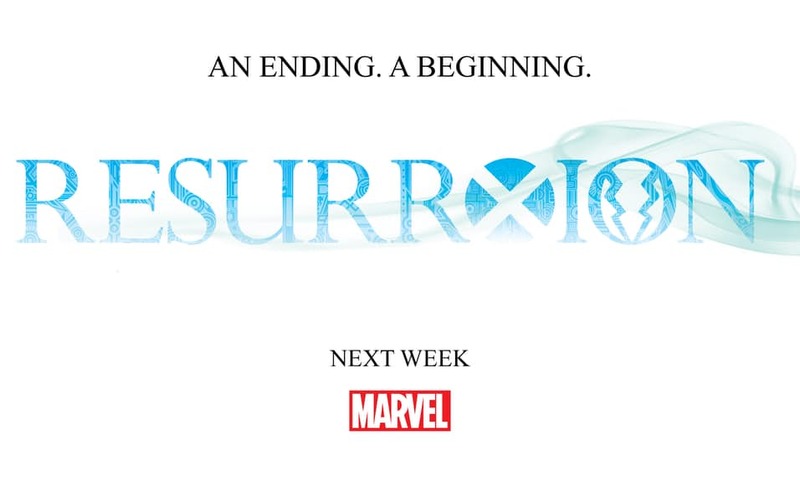 But only if everyone is still alive after Inhumans vs. X-Men (which the new covers seem to tease otherwise). This kind of rebranding isn’t new with Marvel either. Things like ReGenesis helped ground X-Men fans to newer stories. Marvel even tried to appeal to newer audiences with Marvel NOW! and All-New, All Different. Unfortunately, dwelling too much on the rise and fall of the mutant fandom outside the comic-verse will take more than just an article. But we all have to admit it’s hard getting into a franchise so vastly enclosed in its own “thematic” universe. A friend told me during a reunion and a basket (or two, or six) of ribs that the X-Men is having so much of a hard time fitting into modern day Marvel is because they’re a group rooted upon a society that is so prejudiced against them. It was only the few crossovers in the 80’s and its inclusion in the primary Marvel line that made the X-Men hit the spotlight. But in a “universe” where superheroes are commonplace, and alien invasions are almost as frequent as scattered rainshowers, do we still have space for the prejudice the X-Men stories provide? Yes and no. We can all agree that most X-Men stories provide some form of “metaphor” towards various social issues. These in themselves provide a reason how relevant X-Men stories are, especially in today’s turbulent times. The “conflict” between mutants and humans are often compared to real-world conflicts. This stems into issues on racism (Xavier’s “dream” vis-à-vis Malcolm X’s), anti-Semitism (in the form of anti-mutant sentiment), diversity (racial, gender, religious), and even an introduction of an entire subculture (as in the Morlocks). The X-Men stories themselves, and in their shared mythos, can be confined to a singular plane and it would never run out of depth. And while their role in the Marvel comics universe is relevant (barely? ), the group’s presence in this particular comic-verse tends to be… misplaced. DON’T MISS: Let's Celebrate Free Comic Book Day 2017! On my end, it’s severely hard to incorporate a story with such complex themes when instead of worrying about these moral conundrums, there’s a big War every few month or so. Because somehow, if Cyclops wasn’t making a fuss, the Phoenix just randomly makes a trip on Earth. Because why not? And the comic-verse is in too much a diversified state to even have time to judge. Do we really have the time to discriminate in, say color, when there are literally countless kinds of gods, demigods, angels, demons, “tampered” people, Inhumans, heroes and aliens that walk among us? And all of a sudden, I miss the comforting presence of Charles (I’m sure Magneto does too). Is Jean having fun in the White Room, or is she finally coming back? Iceman coming out of the closet is a big gesture for the X-Men, and I have never been so amazed. Bobby, who already starred in his own miniseries, still impresses me. And I know the younger Cyclops’ inclusion in Guardians was a novel gesture towards legacy characters (yet another topic we should discuss). X-23 taking on Wolverine’s mantle is something she very well deserved. But again, there is more than meets the eye.